Disabled athletes: The new voice of disability rights? Are disabled athletes becoming the new global voice of disability rights? 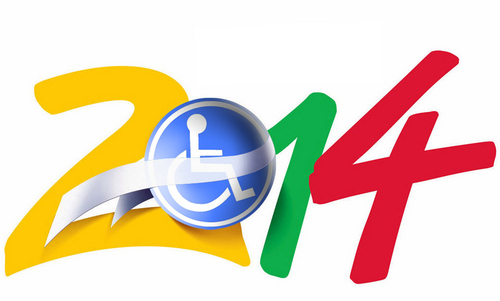 Will the 2016 Olympics in Rio de Janeiro be accessible? Will they leave a legacy of accessible infrastructure in Brazil and a culture of inclusion beyond? If the Paralympics are the pinnacle of athletic participation for athletes with disabilities shouldn't all major sporting events at least aspire to full accessibility for spectators with disabilities? The 12 cities hosting FIFA's 2014 soccer World Cup are a chance to build a new generation of accessibility and inclusive business practices into the very DNA of a country and a sport. There seems to be a sort of archetypal response from many who see this picture of me - recoiling in fear and exclaiming, "You're brave!" Well, maybe but I don't consider this to have taken much bravery. 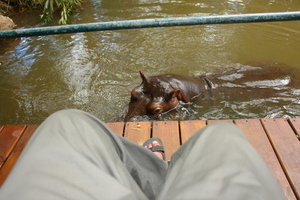 Hippos actually kill more humans than any other African animal. That's only when you sneak up on them coming toward you on a trail however and they stampede. What takes real courage is trusting yourself to human beings. 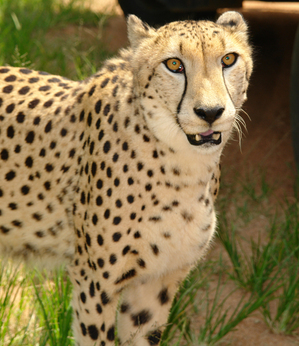 Until all countries agree to provide their citizens, and thus their guests, with the rights laid out in the United Nations Convention on the Rights of Persons with Disabilities it's going to be a safer bet hanging out with wild animals. Those who object to the idea of ADA compliance, whether building owners, merchants or public agencies, have discovered a more subtle method of letting us know where we stand. At first they simply complained loudly, and were not afraid to take their objections directly to the media. Demonizing those who filed ADA complaints or lawsuits based on state laws has served to halt many of the attorneys and plaintiffs in their attempts to bring about compliance. Failing in those efforts, they simply delayed making any required changes as long as possible. That stalling could go on for months or years, depending on whether they had customers or guests who required accessibility in order to do business. A weak gesture indicating compliance could be the next step, including such minor and inexpensive improvements as striping an accessible parking stall or placing the blue International Symbol of Accessibility on their windows next to the front doors. Somebody must be selling those stickers cheap on the Internet, as many of the entryways where I encounter them have doors that are so heavy that they require another person's assistance for me to enter them. Full-time wheelchair users with a hankering to enjoy the great rugged outdoors may find that their standard chairs can't always take them where they want to go. That's where these specially designed conveyances can step up to the job. Even extreme locations like the climbers' camp at the base of Mt. Everest have been reached and conquered by severely disabled people riding in these unusual-looking contraptions, which typically are pushed and/or pulled by friends and acquaintances affectionately known as "Sherpas." Here's a look at some of the options available for accessible hiking, skiing and general outdoor fun. Lance Blair gives Sagen Media a tour of the Disabled Explorers Toyota FJ Cruiser used on the Continental Divide Expedition and shows how it was adapted to fit the needs of disabled drivers. with the demands of PWD. similar needs, evolved identities and significant spending power. consumer products, retail, financial services and the public sector. translate talk into budget & process. There's a mean streak at the heart of a certain kind of American optimism -- a rugged, go-it-alone, dog-eat-dog strain of individualism that is callous at best, shading into the sociopathic. It values independence, or says it does, but only by regarding dependency as a totally abject condition. The reality that illness or old age threw even the hardiest pioneer into reliance on others hardly factors into this worldview; the notion that civilization implies interdependence is, for it, almost literally unthinkable. As I say, this outlook can manifest itself as optimism (the future is one of unbounded possibility, etc.) not always distinct from wishful thinking or denial. And it's just as likely to pour out in resentment that is keen, if not particularly consistent. "I am a victim," the logic goes, "of all those people out there playing victim." Absent a frontier, the frontier spirit starts wallowing in self-pity. The absence of pity of any sort from Kim E. Nielsen's new book A Disability History of the United States, published by Beacon Press, is hardly the most provocative thing about it. The flame has been snuffed, the flags put away and the athletes flown back to their respective parts of the world, but the London 2012 Paralympic Games remains firmly on my mind. What I witnessed in London isn't something I'll forget in a hurry. I don't think I'm the only one. Welcome to the new website! Most blog posts will focus on access to audio via captions, but occasionally there will be blog posts about deafness and hearing loss in general, various technologies and communication types (such as hearing aids, cochlear implants, visual alerts, sign language, cued speech, interpreters, etc.) as well as about foreign language speakers and literacy issues - anything related to communication and information access that is based on universal design. The reason the blog starts off with focusing on the economic model of disability is because many people think that universal access is something that benefits only people with disabilities. The more we learn about this model, the more we understand how it has evolved and why it benefits everyone, including businesses that find great solutions for customers with disabilities. It would also help businesses and individuals better understand why captioning is universal and benefits millions more people than just those who are deaf and hard of hearing. As Michael Janger, the blog author, explains, this model "creates a powerful framework for business decisions." 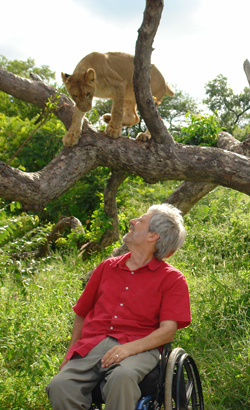 This model was introduced by Travability, a leader in inclusive tourism. control over $4 trillion market in the world that is about the size of China. If products and services are not accessible to people with disabilities, the businesses lose not only them as valuable customers, but also more customers such as their family members and friends who "represent an additional 2 billion people with a disposable income of $8 trillion." Brian Seaman, an accessibility advisor for Tourism for All Services, provides his top tips for tourism businesses on meeting the needs of customers with accessibility needs. aptions are available by selecting the subtitles button in the toolbar at the bottom of the video. We thank Mr Ivan Phua for his letter "Code for more family-oriented spaces?" (Sept 21). The Building and Construction Authority (BCA) champions a built environment that is friendly for all - the old and young, people with different abilities and families - through barrier-free accessibility and Universal Design features. Singapore's built environment has become more accessible since the Code on Barrier-Free Accessibility in Buildings was legislated in 1990. It was introduced to ensure that buildings are accessible to people with disabilities. In 2007, it was expanded to cover our entire built environment and a wider spectrum of needs, improving accessibility for wheelchair users, the ambulant disabled, senior citizens and families with children in strollers. The BCA is committed to making our built environment friendlier for families with young children and babies. We have emphasised the importance of barrier-free accessibility and the inclusion of family-friendly facilities to businesses and professionals. We have introduced design guidelines which serve as a good-practice guide for developers, architects and other professionals on how to provide family-friendly facilities in their buildings and projects. Due to the BCA's promotion of Universal Design to the industry, there are more frequently used public places and shopping complexes with facilities such as nursing rooms, diaper changing stations, washrooms with child-friendly fittings and larger car park spaces. This year, 14 developments were winners at our BCA Universal Design Awards. Silver awardee Changi City Point, a shopping complex, incorporated Universal Design and barrier-free accessibility features. These included a sheltered bus-stop, taxi stand, passenger drop-off/pick-up points and walkway as well as family-friendly amenities, from a nursing room for children to first-aid rooms for the elderly. The BCA also has a website (www.friendlybuildings.sg) with a "Find a friendly building" search function for information on whether a building has accessible or family-friendly facilities. To improve accessibility and make buildings friendlier, the BCA is now reviewing the Code. One of the review considerations is the provision of family-friendly facilities for places where families frequently access, for example, large shopping complexes and transport interchanges. We will conduct a public consultation on the revised Code early next year. Together, we can make Singapore a barrier-free, all-inclusive society. While many scholarships exist to support traditional study abroad participants, funding for those who wish to volunteer or gain work experience in another country is harder to come by. Fortunately, there's the Christianson Grant, which awards $2,500 - $10,000 to U.S. citizens and permanent residents, ages 18-28, who have arranged their own work, internship, or volunteer abroad program. Applications are accepted three times each year - the next deadline is October 15th! Apply for the grant if you have already been accepted on an exchange program, or visit our Going Abroad pages to search for possible programs. MIUSA staff will be presenting on "Promoting a 'GO AWAY'-Friendly Environment" for AHEAD's series of audioconferences designed for disability professionals in higher education. Register to learn how disability departments can play an active role in encouraging students with disabilities to go abroad or in supporting international students with disabilities during their U.S. experience. The event will cover inclusive outreach strategies, "must-know" funding opportunities, and MIUSA's services and online resources. Estabelece procedimentos a serem observados pelas empresas transportadoras, para assegurar condi? ?es de acessibilidade às pessoas com deficiência ou com mobilidade reduzida na utiliza? ?o dos servi?os de transporte rodoviário interestadual e internacional de passageiros e, dá outras providências. Art. 1o - Estabelecer procedimentos a serem observados pelas transportadoras para assegurar condi? ?es de acessibilidade às pessoas com deficiência ou com mobilidade reduzida na utiliza? ?o dos servi?os de transporte rodoviário interestadual e internacional de passageiros. Parágrafo único - Além do disposto nesta Resolu? ?o, dever?o ser observados o Decreto no 5.296, de 2004, as normas técnicas de acessibilidade da ABNT, os programas de avalia? ?o de conformidade desenvolvidos e implementados pelo Inmetro e demais normas técnicas. Art. 2o - Para os fins desta Resolu? ?o, ser?o usados os conceitos e os termos técnicos definidos no Glossário dos Termos e Conceitos Técnicos da Agência Nacional de Transportes Terrestres, aprovado pela Resolu? ?o no 3.054, de 5 de mar?o de 2009. Art. 3o - Os passageiros com deficiência ou com mobilidade reduzida têm direito a receber tratamento prioritário e diferenciado de forma a garantir a eles condi? ?o para utiliza? ?o com seguran?a e autonomia, total ou assistida, dos servi?os de transporte rodoviário interestadual e internacional de passageiros. Parágrafo único - é vedada a cobran?a de valores, tarifas ou acréscimos vinculados, direta ou indiretamente, ao cumprimento do disposto nesta Resolu??o. VI - manter acessível sítio eletr?nico que possua, contendo, nas respectivas páginas de entrada, o símbolo que represente a acessibilidade na rede mundial de computadores - internet. VI - cadeira de transbordo. Parágrafo único - Os passageiros portadores de deficiência ou com mobilidade reduzida dever?o ter acesso aos seus equipamentos e ajudas técnicas nos locais de embarque e desembarque de passageiros e em todos os pontos intermediários de parada, entre a origem e o destino das viagens. III - piso alto equipado com plataforma elevatória veicular. XV - procedimentos em situa? ?es de emergência. Parágrafo único - O nome ou marco referencial do próximo ponto de parada será informado, simultaneamente, de forma sonora (locu? ?o) e visual (texto ou símbolo). Art. 8o - As transportadoras devem disponibilizar, em local de fácil acesso, para o passageiro que utilize cadeira de rodas, a cadeira de transbordo nos terminais de embarque e desembarque de passageiros e em todos os pontos intermediários de parada, entre a origem e o destino das viagens. § 1o - O equipamento de que trata o presente artigo deverá ser providenciado pela transportadora isoladamente ou em conjunto com as demais empresas que operem naquela localidade, desde que em quantidade suficiente para atender tempestivamente e com o devido conforto a todos os usuários que necessitem deste. § 2o - O veículo que substituir outro devido à falha ou pane deverá dispor de cadeira de transbordo, caso a transferência de passageiros com deficiência ou com mobilidade reduzida seja realizada em local que n?o disponha de cadeira de transbordo. Art. 9o - As transportadoras garantir?o, em todos os pontos de venda, próprios ou terceirizados, localizados ou n?o em terminais rodoviários, pelo menos um balc?o de atendimento adequado às normas técnicas de acessibilidade da ABNT. § 1o - Excepcionalmente, duas ou mais transportadoras podem compartilhar o mesmo balc?o de atendimento acessível, desde que mantida a presteza e a qualidade do atendimento. Art. 10 - Os veículos possuir?o dois assentos, devidamente identificados, preferencialmente reservados aos passageiros com deficiência ou mobilidade reduzida, adaptados conforme normas técnicas de acessibilidade da ABNT. § 1o - Nos ?nibus de categoria convencional, a reserva de que trata o caput deste artigo deverá estar disponível pelo prazo de três horas antes do horário da partida do ponto inicial da linha. § 2o - Na hipótese do § 1o deste artigo, caso os assentos identificados sejam ocupados por passageiros com deficiência ou mobilidade reduzida pagantes, a transportadora deverá disponibilizar outros assentos para fins de atender ao beneficiário do Passe Livre. § 3o - Na existência de se? ?es, nos pontos de se? ?o devidamente autorizados para embarque de passageiros, será considerado para fins de contagem do prazo definido no § 1o o horário de viagem definido para o ponto inicial da linha. § 4o - Os assentos de que trata o caput deste artigo somente poder?o ser oferecidos aos demais passageiros quando n?o restarem outros assentos disponíveis, observado o disposto no § 1o. § 5o - Somente poderá ser utilizada a cadeira de rodas do próprio passageiro para a realiza? ?o da viagem, quando o veículo possuir os equipamentos necessários que garantam a sua seguran?a e comodidade. Art. 11 - Os ?nibus de características urbanas dever?o ter 10% (dez por cento) dos assentos disponíveis para uso das pessoas com deficiência ou mobilidade reduzida, sendo garantido o mínimo de 2 (dois) assentos, preferencialmente localizados próximos à porta de acesso, identificados e sinalizados conforme normas técnicas de acessibilidade da ABNT. Art. 12 - Todos os equipamentos e ajudas técnicas de uso dos passageiros com deficiência ou com mobilidade reduzida n?o ser?o considerados bagagem, sendo obrigatório, gratuito e prioritário o seu transporte, mesmo que excedam os limites máximos de peso e dimens?es de bagagem, estabelecidos em resolu? ?es específicas. § 1o - No caso de equipamentos que extrapolem as dimens?es e pesos especificados em Resolu? ?o da ANTT, e que necessitem de cuidados especiais para o transporte, devem ser informados à transportadora com antecedência mínima de 24 (vinte e quatro) horas do horário de partida do ponto inicial do servi?o. § 2o - Na hipótese de equipamento n?o compatível com o bagageiro, sendo impossível o armazenamento, o passageiro deverá providenciar o seu transporte, arcando com as despesas decorrentes. Art. 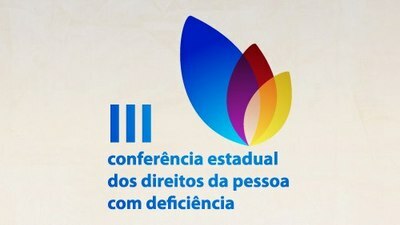 13 - A pessoa com deficiência ou mobilidade reduzida deverá indicar eventuais necessidades de atendimento especial durante a viagem com antecedência mínima de 3 (três) horas do horário de partida do ponto inicial do servi?o. Parágrafo único - Para efeito do caput deste artigo é recomendável que o passageiro se apresente com antecedência mínima de 30 (trinta) minutos do horário de partida da sua viagem no local designado pela transportadora. Art. 14 - Os passageiros com deficiência ou com mobilidade reduzida dever?o comparecer, por seus próprios meios de locomo? ?o, ao local de embarque designado pela transportadora, bem como providenciar o seu deslocamento, após o desembarque. Art. 15 - O embarque do passageiro com deficiência ou mobilidade reduzida será preferencial em rela? ?o aos demais passageiros, e no destino final, seu desembarque deverá ser posterior ao dos demais passageiros, exceto os casos de passageiros com c?o-guia, quando esta prioridade poderá ser invertida. Art. 16 - O passageiro com deficiência visual poderá ingressar e permanecer no veículo com o c?o-guia, o qual será transportado gratuitamente, no piso do veículo, próximo ao seu usuário. § 1o - O acesso do animal se dará por meio de identifica? ?o de c?o-guia, carteira de vacina? ?o atualizada e equipamentos (coleira, guia e arreio com al?a), dispensado o uso de focinheira. § 2o - O disposto neste artigo aplica-se ao treinador, instrutor ou acompanhante habilitado quando o c?o estiver em fase de socializa? ?o ou treinamento, devendo o animal estar devidamente identificado por uma plaqueta com a inscri? ?o "c?o-guia em treinamento", dispensado o uso de arreio com al?a. § 3o - Os passageiros citados no § 2o n?o ter?o direito à gratuidade de passagem. Art. 17 - Caso o passageiro com deficiência ou mobilidade reduzida precise utilizar o sanitário durante a viagem, deverá comunicar à tripula? ?o, para que, caso necessário, possa utilizar as instala? ?es do posto de servi?os mais próximo. Art. 18 - Para assegurar as condi? ?es de acessibilidade, a frota total de veículos das transportadoras deverá ser fabricada ou adaptada de acordo com as normas constantes no parágrafo único do art. 1o desta Resolu??o. § 1o - O atendimento ao disposto no caput será comprovado por meio de inscri? ?o das "características" ou dos "tipos" de acessibilidade no campo "observa? ?es" do Certificado de Registro do Veículo - CRV e do Certificado de Registro e Licenciamento do Veículo - CRLV, conforme atos normativos do Departamento Nacional de Transito - Denatran e do Conselho Nacional de Transito - Contran. § 2o - Até 2 (dois) de dezembro de 2014, as condi? ?es de acessibilidade para veículos utilizados exclusivamente para o servi?o sob regime de fretamento, ser?o exigidos somente daqueles fabricados a partir de 2008. Após esta data, as condi? ?es de acessibilidade ser?o exigidas da totalidade da frota. Art. 19 - As transportadoras atualizar?o o cadastro de veículos no sistema informatizado da ANTT, indicando as especifica? ?es de acessibilidade existentes e o respectivo equipamento utilizado para o embarque e desembarque, no prazo de 180 (cento e oitenta) dias a contar da data de publica? ?o desta Resolu??o. Parágrafo único - Os veículos que n?o comprovem as adapta? ?es previstas na legisla? ?o pertinente nesse prazo ser?o descadastrados do Sistema informatizado da ANTT. Art. 20 - N?o se aplicam aos servi?os interestaduais com características urbanas os arts. 5o, 7o, 8o, 10, § 1o e 2o do art. 12, 13 e 17 da presente Resolu??o. Art. 21 - Os veículos que prestarem servi?o sob regime de fretamento, quando transportarem pessoas com deficiência ou com mobilidade reduzida, dever?o dispor de cadeira de transbordo, sem prejuízo de outras alternativas previstas no art. 5o desta Resolu??o. Parágrafo único - Aplica-se aos servi?os de transporte interestadual e internacional de passageiros realizados em regime de fretamento o disposto nos arts. 2o; 3o; 4o; 12 a 19 desta Resolu??o. Art. 22 - A inobservancia de disposi? ?es constantes desta Resolu? ?o sujeitará o infrator às penalidades previstas no Decreto no 2.521, de 20 de mar?o de 1998, bem como nas Resolu? ?es no 233, de 25 de junho de 2003, e 3.075, de 26 de mar?o de 2009.
r) n?o observar as normas e procedimentos necessários para garantir condi? ?es de acessibilidade aos veículos." Art. 25 - Esta Resolu? ?o entra em vigor 30 dias após sua publica??o. Before the Paralympics I wasn't completely ignorant about disabledcycling. I even had personal experience of how very fast people can ride even with relatively severe impairments: in separate multi-stage mountain bike events I have been soundly trounced by a rider with one leg amputated at the hip, and another with a to-the-shoulder arm amputation. But it took 11 days of covering Paralympic cycling for the Guardian to fully appreciate how incredibly flexible the bike is when it comes to catering for disabilities. O CONSELHO ESTADUAL DOS DIREITOS DA PESSOA COM DEFICIêNCIA DO MARANH?O - CEPD realizá a III Conferência Estadual dos Direitos da Pessoa com Deficiência, Com o Tema: "Um olhar através da Conven? ?o dos Direitos da Pessoa com Deficiência, da ONU: novas perspectivas e desafios". , 2 e 3 de Setembro de 2012.
? 11h00min às 12h30min - Mesa Redonda com os Presidentes de Conselhos Municipais dos Direitos da Pessoa com Deficiência. EIXO I - Saúde, Preven? ?o, Reabilita? ?o, órteses e Próteses.
? 14h00min às 15h30min - Saúde, Preven? ?o, Reabilita? ?o, órteses e Próteses. EIXO II - Acessibilidade, Comunica? ?o, Transporte e Moradia. Eixo III - Educa? ?o, Esporte, Trabalho e Reabilita? ?o Profissional. EIXO IV - Seguran?a, Acesso à Justi?a, Padr?o de Vida e Prote? ?o Social Adequados. Everyone is welcome at Scandic! We understand that every disability is different. The same is also true of our hotels, and we have implemented smart design in our rooms available for people who have a disability. 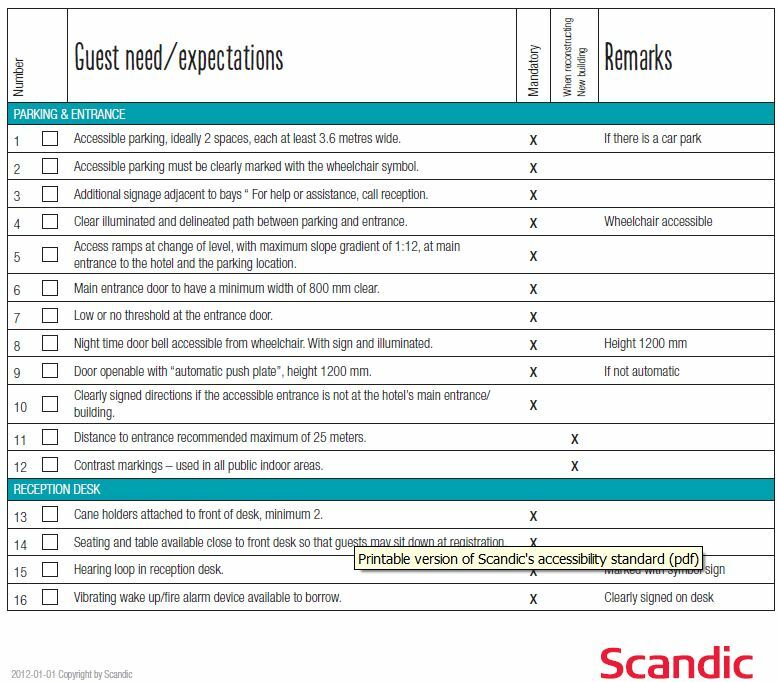 When you choose to stay with Scandic, you should enjoy the same Scandic standards for accessibility. That's why we have implemented and are continuously improving a common accessibility programme that all our hotels use. "Here you can read our 110 point accessibility standard. It has been drawn up by carefully following the route taken by guests from the car park on through the whole hotel. We have also talked to disability organisations and guests with physical disabilities and received lots of ideas from our own keen staff. Although we rent our hotels rather than owning them, there is a lot that we can do. Lowe?s offers the Gatehouse Custom Access Ramp System to improve home access without sacrificing style. This do-it-yourself ramp product is available nationwide on Lowes.com/Ramps, by calling 1-800-GO-LOWES and in select Lowe?s stores. The system?s modular substructure can be either temporary or permanent and makes the install faster and easier for both professionals and do-it-yourselfers. In addition, the new ramp system can be configured with straight, right, left and u-turn sections to fit virtually any home or mobility requirement. The system is also flexible enough to meet accessibility guidelines for both residential and commercial applications. Available exclusively from Lowe?s, the Gatehouse Custom Access Ramp System has been designed to work with standard and readily available decking, railings and accessories to give the completed ramp a stylish, custom look to complement virtually any home. Vsit Lowe?s Accessible Home for product suggestions and checklists. Today at United Nations Headquarters, CSOs (civil society organizations) including DPOs (organizations of persons with disabilities) met in a Forum along with other stakeholders to discuss issues on the agenda of the fifth session of the Conference of States Parties, as well as next year?s High-level meeting on Disability (23 September 2013). The Opening session was chaired by Colin Allen, President of the World Federation of the Deaf (WFD). Speakers included H.E. Marten Grunditz, Permanent Representative of Sweden to the UN; Akiko Ito, Chief, Secretariat for the Convention on the Rights of Persons with Disabilities (DSPD/DESA); Craig Mokhiber, Chief, Development and Economic and Social Issues Branch, OHCHR; IDA Chair Yannis Vardakastanis. The First session discussed CRPD related advocacy work at national level leading to change in legislation and policies and how the CRPD is starting to produce change in the lives of persons with disabilities. The session was co-chaired by Regina Atalla, President of RIADIS and Patrick Clarke, Chair of Down Syndrome International (DSI). Speakers included: Silje Vold, Child Rights Advisor of Plan Norway; Sharon Primor, Legal Counsel, Bizchut - The Israel Human Rights Center for People with Disabilities; Nagase Osamu, Executive director of the Institute on Disability & Communication; Joseph Murray, Board Member of the World Federation of the Deaf; Mosharraf Hossain, Country Director of ADD International, Bangladesh; Richard Rieser, UKDPC/World of Inclusion; Eric Mathews, Advocacy Associate, Disability Rights International. The Second session reviewed examples of work with other stakeholders to promote the implementation of the CRPD and was co-chaired by Geir Jensen, Secretary General of the World Federation of the DeafBlind (WFDB) and Nawaf Kabbara, President of Arab Organisation of Persons with Disabilities (AOPD). Speakers included: Robinah Alambuya, Chairwoman PANUSP; Javed Abidi, Chair of DPI and Alex Leblois, Executive Director of G3ict; Joshua Goldstein, Center for Financial Inclusion at ACCION; Martin Mwesigwa Babu, Programme Manager, HIV&AIDS Department, National Union of Disabled Persons in Uganda (NUDIPU); Medi Ssengooba, Human Rights Watch. During the Third session, speakers highlighted the importance of increasing funding for the implementation of the CRPD and discussed good examples of international co-operation, disability rights budgeting and getting disability into the post-2015 agenda. The session was Co-chaired by Latoa Halatou, Co-Chair of Pacific Disability Forum (PDF) and Klaus Lachwitz, Chair of Inclusion International. Speakers included: Liza Martinez, CSO Forum Philippines; Marion Steff, Policy Adviser of Sightsavers; Tim Wainwright, Executive Director of ADD International; Mohammed Ali Loutfy, Lebanese Physical Handicapped Union (LPHU) and BIC; Diane Mulligan, Coordinator for International Advocacy and Alliances, CBM. The Fourth session reviewed examples of co-operation between UN agencies and DPOs/NGOs at national or global level to promote the implementation of the CRPD. The session was co-chaired by Pekka Tuominen, Treasurer of the European Disability Forum (EDF) and Moosa Salie, Chair of World Network of Users and Survivors of Psychiatry (WNUSP). Speakers included: Dr. Paula Frederica Hunt, Inclusive Education Consultant, UNICEF Regional Office for CEE/CIS; Lord Colin Low, ICEVI President; Elinor Milne, Global Initiative to End All Corporal Punishment of Children; Emma Pearce, Disability Program Officer, Women?s Refugee Commission; Myra Kovary, World Network of Users and Survivors of Psychiatry (WNUSP). The Closing session was chaired by Maryanne Diamond, President of the World Blind Union and member of the IDA Governing Body. The closing session strongly emphasized the importance of civil society in promoting disability rights. Chairperson Maryanne Diamond highlighted that the Civil Society Forum has become a tradition in its own right as a time to exchange views and share best practices. Javed Abidi, IDA Vice-Chair and Chair of Disabled People?s International, presented a summary of the day's events and stated "The active and effective involvement of persons with disabilities through their representative organizations, in the preparation process and in the actual High-level Meeting is a key issue for us. We set a high standard of DPO participation in the negotiation process of the CRPD and this needs to be upheld". The UN Special Rapporteur on disability agreed, saying "civil society participation is not debated anymore", and the UN must continue to lead, encourage and promote the full inclusion of persons with disabilities in society and development. Similarly, the Permanent Representatives of Spain and the Philippines, co-facilitators of next year's High-level Meeting on Disability and Development, reiterated the slogan "Nothing about us, without us" to encourage the active participation of persons with disabilities in discussions about the post-2015 development agenda. The complete Programme and Background are available on the Enable website. Tomorrow, the unedited (CART) transcript of the Forum will also be posted. Opening Session: 10 a.m. to 1 p.m. Round Table 1: Accessibility and Technology: 3 to 6 p.m.
Side-events: Eight side-events will also be held tomorrow,: Violence Against Children with Disabilities; Ensuring the CRPD is working for refugee women and children; Sustainable development: inclusive and accessible; Including Women and Children with Disabilities in Programming; Working Together to Implement Inclusive Education (Article 24); Good practice in inclusive education: Voices from the Commonwealth; The right to express oneself for children with disabilities; Microfinance and financial inclusion of persons with disabilities. Secretariat for the Convention on the Rights of Persons with Disabilities (SCRPD), Division for Social Policy and Development (DSPD), United Nations Department of Economic and Social Affairs (DESA), 2 UN Plaza, DC2-1306, New York, NY 10017, USA. 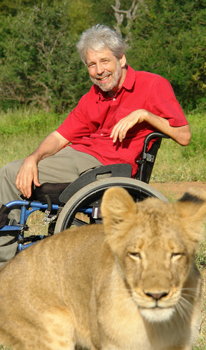 Website: http://www.un.org/disabilities; Email:enable@un.org; Facebook:http://www.facebook.com/pages/United-Nations-Enable/196545623691523; Twitter:http://twitter.com/UN_Enable. Agora o trade turístico pode realizar roteiros para turistas cadeirantes ou com mobilidade reduzida, em todo o estado do Rio Grande do Sul. Os destinos previstos s?o Porto Alegre, Gramado, Canela, Cambará, Caxias do Sul, Bento Gon?alves e outras cidades que tenham um mínimo de acessibilidade arquitet?nica. Os segmentos turísticos oferecidos s?o Histórico Cultural, Ecoturistico e Rural, de Aventura, e de Sol e Praia. Queremos definitivamente colocar Porto Alegre e arredores na rota do TURISMO ADAPTADO. Com a disponibilidade de uma dubl? com elevador, ficou mais fácil realizar roteiros para turistas com algum tipo de deficiência ou mobilidade reduzida. Todas as áreas da deficiência temos como realizar guiamentos turísticos. Como sugest?o de roteiro, podemos come?ar com um cit. tour pelo centro histórico de Porto Alegre, finalizando com um passeio de barco pelo lago do Guaíba, tudo realizado em um dia. Para o turista que usa cadeira de rodas, temos uma parceria para loca? ?o de cadeira de rodas. O detalhe desta proposta de roteiro personalizado é que ele pode ser totalmente montado com o toque pessoal, deixando o nosso turista muito a vontade para escolher os locais que quer visitar e facilidade para fazer os pagamentos bem no estilo realizado em outros países. Informa? ?es: Guia de Turismo especializado em Turismo & Acessibilidade - Roth Prestes - Cadastro no MTur - no 23.012575.96-7. Destaco a seguir aos meus comentários o artigo de hoje do jornalista Jairo Marques, "Quinze Dias no Mundo Ideal", que fala dos 15 dias que passou em Londres, durante a disputa das Paralimpíadas. Fa?o esse destaque para discordar frontalmente do autor, para dizer que a sociedade que ele vislumbrou é algo artificial, produzida somente para aquele momento, durante aquele evento, para durar 15 dias e n?o para se perpetuar, como deveria ser a coisa certa. Desde o início de minha militancia e ativismo social e político nas causas dos direitos das pessoas com deficiência eu defendo que as Olimpíadas devem ser uma única coisa, que os jogos devem ser realizados no mesmo momento, todos os atletas juntos e que a delega? ?o brasileira deve ser uma só, bem como a dos outros países, afinal, s?o atletas com uma única bandeira, língua, cultura, nacionalidade. Claro que o feito dos atletas com deficiência deve ser ressaltado, assim como o desempenho de todos os outros atletas, tenham ganhado mais ou menos medalhas, afinal, as compara? ?es nesse sentido n?o podem e nem devem ser feitas, pois cada qual é mestre dentro de suas limita? ?es e categorias nas quais competem. Todavia, a separa? ?o, a segrega? ?o dos atletas com deficiência em momentos separados, dias e dias após o encerramento das Olimpíadas convencionais, no meu entendimento é defender aquilo que tanto combatemos, ou seja, enquadrar as pessoas dentro de suas caixas, de seus guetos, de suas áreas pré determinadas em fun? ?o de n?o poderem participar da sociedade como um todo. Dizer que 15 dias após os jogos convencionais a cidade de Londres ficou recheada de pessoas com deficiência é o mesmo que dizer que abriram-se as portas dos asilos, das pris?es e dos conventos e deixaram a galera diferente sair às ruas, andar pelas cal?adas e participarem, agora sim, da festa, depois que ela já foi realizada e que os faxineiros já limparam a bagun?a deixada pela galera da festa principal. Por que n?o toda galera participando da festa juntos? 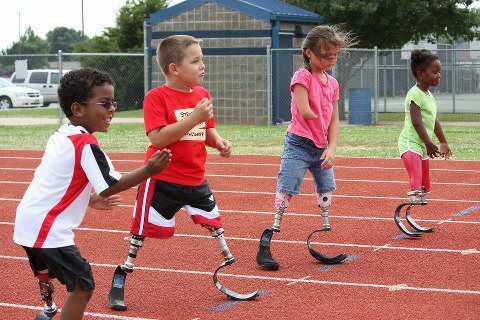 This is What Disability Looks Like campaign - wants YOU!!! 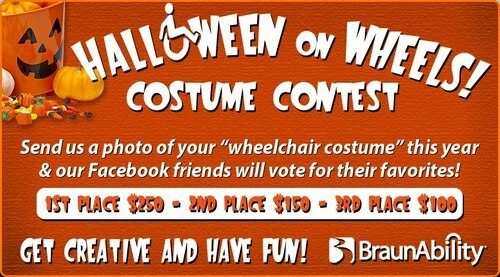 Instead we want to feature the rich diversity of our disability communities - by showing what disability really looks like. Various disabilities, aspects of our culture, ages, etc. should be represented. No one is excluded from this project. For now the project will be featured on a Facebook fan page - but we can easily expand this into a website, a gallery show or something bigger with the right funding and community work! Also, of note - you do NOT have to be tagged in these photos if you do not want to be. Just let us know! This is a community LOVE project for all of us to spread the word that disability is awesome, natural and not just a tool to make feel pity and social distance from us. Ideally, full body shots would be good but not required. Space around the photo to add text is needed. If you want a tag-line at the bottom of the photo -- please keep it short and concise. 3 words max. Please feel free to share your thoughts on what the project should entail or ask any questions! This is about all of us! Share this with your friends!!! This is an example of what we are looking for. This is what are NOT looking for. O engenheiro civil Augusto Fernandes teve a chance de conhecer na prática e antes de se formar inúmeras quest?es referentes à acessibilidade nas cidades, área em que se tornou especialista. Seguindo os passos do pai engenheiro, formou-se no ofício pela Universidade Federal de Goiás em 1999, após seis anos na cadeira de rodas, o que lhe proporcionou "a especialidade na prática". Desde sua formatura, há 13 anos, Augusto trabalha com projetos de acessibilidade dentro da engenharia civil. "Tenho a vantagem de conhecer a fundo os desafios de uma pessoa com deficiência e mobilidade reduzida e com isso pensar em como as dificuldades podem ser superadas", explica. Augusto chega ao Comitê Organizador Rio 2016? como o Especialista em Acessibilidade da área de Sustentabilidade, Acessibilidade e Legado e tem a miss?o de elaborar e acompanhar o planejamento para proporcionar acessibilidade plena às pessoas com ou sem deficiência dentro das instala? ?es esportivas dos Jogos Rio 2016?. Na semana que vem ele come?a sua participa? ?o no Programa de Observadores durante os Jogos Paralímpicos de Londres 2012. O Comitê Organizador dos Jogos Olímpicos e Paralímpicos Rio 2016? promoveu, nesta quarta-feira, no auditório da sede na Barra da Tijuca, Rio de Janeiro, um encontro para apresentar o seu Plano de Recrutamento de Pessoas com Deficiência e identificar metas que balizar?o o sucesso das a? ?es realizadas. O diretor de Recursos Humanos do Rio 2016?, Henrique Gonzalez, teve a oportunidade de tornar público o planejamento do Comitê Organizador para a área e ouvir demandas e sugest?es de representantes do Comitê Paralímpico Brasileiro (CPB), integrantes de organiza? ?es n?o-governamentais que desenvolvem atividades voltadas para pessoas com deficiência e representantes governamentais. No encontro, foi definida a cria? ?o de um banco de dados de pessoas com deficiência que sejam potenciais candidatos a trabalhar no Rio 2016? e o fortalecimento da colabora? ?o com as institui? ?es que, direta ou indiretamente, trabalham, auxiliam ou atendem pessoas com deficiência no Rio de Janeiro e no Brasil. "As diferen?as s?o bem-vindas, trazem inova? ?o, multiplicam energia e levam consigo as resolu? ?es de conflito. Temos, na nossa for?a de trabalho, cada vez mais, uma multiplicidade de perfis. As pessoas com deficiência n?o ter?o vagas específicas para elas. Ao contrário, queremos que concorram a todas as vagas disponíveis", afirmou Gonzalez. O Rio 2016? cumpre atualmente a determina? ?o da lei brasileira, de que empresas com 201 a 500 funcionários devem ter 3% de seu quadro funcional composto por pessoas com deficiência. A expectativa é de que, daqui a quatro anos, mais de 200 pessoas com deficiência estejam trabalhando para o Comitê Organizador dos Jogos Olímpicos e Paralímpicos Rio 2016?. "Somos uma organiza? ?o que vê a diversidade do quadro funcional como necessária para atingirmos o objetivo de organizar Jogos Olímpicos e Paralímpicos com excelência técnica e celebra? ?es memoráveis, além de deixar um legado para o país. Buscamos recrutar pessoas com deficiência para além da cota definida pela lei e n?o acreditamos em criar vagas específicas para essas pessoas. Queremos que se candidatem para todas as posi? ?es de trabalho para as quais acreditem ter o perfil e iremos avaliá-los de acordo com o perfil desejado para a vaga", acrescentou Carlos Arthur Nuzman, presidente do Rio 2016?. Também é uma das metas do Rio 2016? contar um número significativo de pessoas com deficiência entre os voluntários dos Jogos Olímpicos e Paralímpicos. Dessa forma, o programa de recrutamento de funcionários servirá como base e inspira? ?o para o programa de voluntariado. 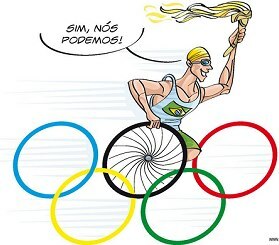 Atualmente, o Rio 2016? conta com consultorias especializadas e uma parceria com o CPB, que indicam pessoas com deficiência para participarem dos processos seletivos. Um dos objetivos do encontro desta quarta-feira foi o de estreitar a colabora? ?o com ONGs e entidades governamentais, para que colaborem na atra? ?o de potenciais candidatos e abaste?am o banco de dados de pessoas com deficiência. "Quando falamos em deficiências, muitos pensam em deficiências físicas leves e visíveis, como amputa??es. Estamos aqui discutindo todos os tipos de deficiências, desde a paraplegia até a visual, auditiva e intelectual. Em qualquer empresa, é necessária a prepara? ?o das pessoas que recebem esses candidatos e futuros funcionários, além da preocupa? ?o com a acessibilidade e a cultura da organiza? ?o em rela? ?o a estes profissionais, para que a inclus?o seja completa", analisa Jean Loup Jospin, técnico da área de mercado de trabalho do Instituto Brasileiro dos Direitos da Pessoa com Deficiência (IBDD). "Acessibilidade para a pessoa com deficiência n?o é só a rampa. A acessibilidade se dá também na comunica? ?o, com as sinaliza? ?es adequadas, por exemplo, ou com as adapta? ?es para as deficiências auditivas e visuais nos vídeos institucionais. S?o quest?es importantes para o público interno e externo do Comitê. é muito positivo que haja essa troca de experiência do Rio 2016? com as organiza? ?es que trabalham na área para que quest?es como essas sejam levantadas", agrega Claudia Maia, coordenadora-técnica da Escola de Gente - Comunica? ?o em Inclus?o. Para Sérgio Paulo Nascimento, coordenador-geral de acessibilidade da Secretaria de Direitos Humanos da Presidência da República, encontros como este gerar?o resultados positivos n?o só para o Comitê Organizador e para o período até os Jogos. "é um passo meritório, uma abertura para tratar do assunto sem receios. A sociedade civil presente no encontro tem legitimidade para trazer algumas quest?es e sugerir. Est?o todos em busca de um objetivo em comum e que é de longo prazo". The ZVSHK, the German Sanitation, Heating and Air Conditioning Association, has launched a design prize for accessible products. In establishing the award, the German association, which represents over 50,000 contractors in the sector, aims to provide a platform for manufacturers to present commercial products that respond to the challenges of demographic change. Design for All in Germany (EDAD) as professional partner. Dr Peter Ramsauer, the Federal Minister for Transport, Building and Urban Development, will act as a patron for the award. The terms of participation and full details of the award are available online in German and English. The deadline for submissions is 31st October 2012. An international, eight-person jury of experts will assess all product submissions according to how well they follow the principles of Design for All. The focus will be on the aesthetic quality of the submitted products as well as their usability for a wide target group. The award aims at encouraging the industry to further develop accessible products to Design for All products. The winner will be announced in March 2013 at the ISH 2013, the world's leading sanitation, heating and air conditioning trade fair in Frankfurt am Main in Germany. AXIS Dance on So You Think You Can Dance? The Narrowing set to music by Joan Jeanrenaud and PC Mu?oz. The "staycation" is not yet dead, but its popularity may be waning. The tendency to stay close to home for vacation -- a trend that became popular during the Great Recession -- is losing its appeal as more Americans become more interested in having a good time when they travel than in saving money. The findings are from a survey of 2,527 U.S. households by marketing and research firms MMGY Global and Harrison Group. The survey found that the average amount spent on vacations over the last 12 months has grown to $4,461, compared with $3,874 during the same period two years ago. individual rights of the most vulnerable groups, notably children, the elderly, the handicapped, ethnic minorities and indigenous peoples.? The objective of this World Summit entitled ?Destinations for All - Tourism, Culture and Transportation for people with restricted physical ability?, is to lead international sector-based associations operating in the tourism, culture and transportation fields, in a process to identify the actions they will take in order to sigificantly facilitate travel for people with disabilities.